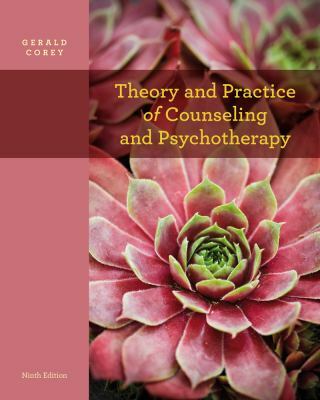 The nnth edition of Corey's best-selling THEORY AND PRACTICE OF COUNSELING AND PSYCHOTHERAPY helps you develop your own counseling style. With this text, you will gain a firm foundation in the major counseling theories (psychoanalytic, Adlerian, existential, person-centered, Gestalt, reality, behavior, cognitive-behavior, family systems, feminist, and postmodern approaches) as they are used in practice. By means of the case of "Stan," you will see how the theory presented in each text chapter informs therapeutic decision making. The "DVD for Theory and Practice of Counseling and Psychotherapy: The Case of Stan and Lecturettes" is an extension of the text. "At a Glance" charts pinpoint the major differences between theories in areas such as multicultural focus, basic philosophies, and limitations.